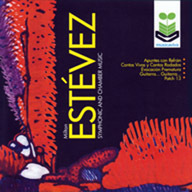 Five acoustic and mixed works by Estévez. 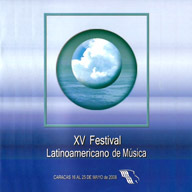 National Symphony of Ecuador and other artists. Apuntes con Refrán. Orchestra and electro-acoustics. Cantos Vivos y Cantos Rodados. Chamber ensemble and electro-acoustics. Guitarra... Guitarra... Classical voiced guitar. Patch 13. Electro-acoustics, keyboard, and percussion. Full HD CD or individual MP3 tracks available at: CDbaby. 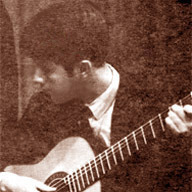 For orchestra and electro-acoustics, Quito, 1987. 1:54 National Symphony of Ecuador. Studio recording, 1990. For chamber ensemble and electro-acoustics, 1996-97. 6:32 This recording: Computer model, by the composer. This recording: I. Computer model, by the composer. University of Louisville, June 1999, and computer model. de projection de l’IRCAM, Paris, November 1984. For electro-acoustics, keyboard, and percussion, 1984.
percussion. 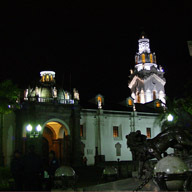 Auditorio Las Cámaras, Quito, May 1998. For piano-and-percussion septet, Louisville, 2006-2007. Freiburg, December 20, 2007. Conductor: James Avery. 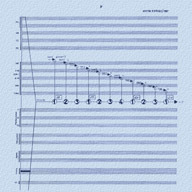 For woodwind quartet, perc., piano, and d-bass, 1999. This recording: Computer model, by the composer. For ensemble, Quito, Louisville, 1977-1998. Carlos Bonilla, Milton Estévez, Rodrigo Báez. Selecciones de Carlos Bonilla, Guayaquil, Ecuador: IFESA, 1977.